Each year, incoming students at IU are looking for opportunities to fill their resumes as well as provide themselves with the experiences they need for the future. IU Auditorium is devoted to helping students achieve this goal. 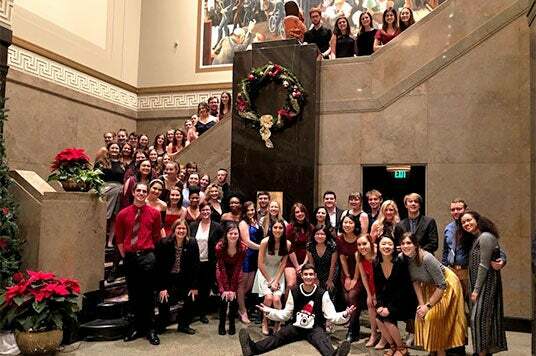 From ushering at our Broadway shows to learning more about marketing and event management, there are a multitude of ways that you can get involved at IU Auditorium. "I had a rough transition into college because I came from out of state and I couldn't really find my group for the first couple months I was in Bloomington. This changed when I started ushering, since I was interacting with people who had similar interests. I started making some really great friends through the Auditorium and have found my place on the IU campus. Now the Auditorium feels like a second home and I wouldn't change it for anything." Indiana University Auditorium is home to the Auditorium Student Volunteers. We have over 300 ushers and approximately 45 student managers each school year! 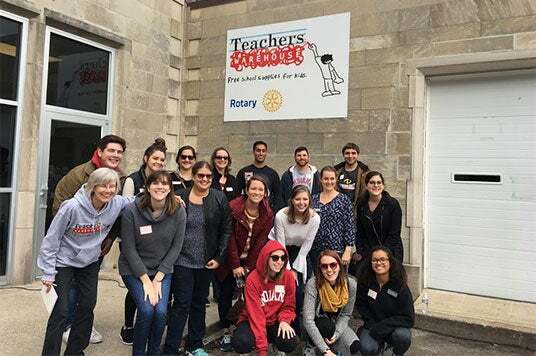 Formed in 2009 by the student managers and volunteers of IU Auditorium, the Community Engagement Committee (CEC) coordinates activities and projects that benefit the local and larger communities in a multitude of ways.